The Pramodh Warangal Hospital is located at n ° 1 - 8 - 283, Balasamudram, Hanumakonda, next to Canara Bank in Warangal, Telangana. The customer service number for this hospital in Warangal is +91 870-256-8899. 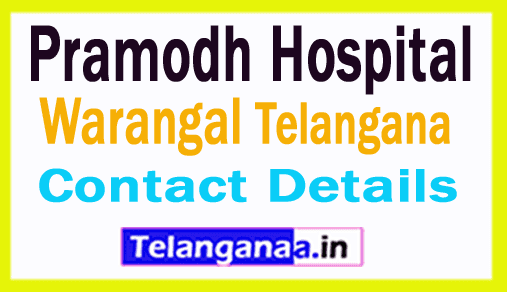 If the phone number of this hospital is not a mobile phone number, you must dial the Warangal STD 0870 code in front of the phone number.